You can’t fault the central idea behind What Women Want. What man in the world wouldn’t want the ability to hear what women think? It is a movie with plenty of comedy potential and is somewhat used to it’s full capacity here. For starters, the casting of Mel Gibson in the central role is a great one. Back in 2000 Gibson was at his charming, lovable, every-man peak. He is relatable to the men who want to take the guy for a beer and the woman who want to take him for a date. Gibson is relishing the role here and brings the comedy as well as the chemistry. He has great comedic timing and holds the movie, regardless of how silly the concept is, in the palm of his hands. The concept is also wrung dry of opportunities and comedy set-pieces. It does suffer from awful, screenwriting-by-committee as it is clear from the events in the opening act to where Gibson’s new-found “powers” will either assist or undo him. This means that his strained relationship with his daughter gets a well-needed boost while his chauvinistic persona at work gets a Millennium update. It is predictable but has it’s moments, from Gibson having to convince Marisa Tomei he is gay through to a terrible advertising pitch meeting where a stray thought lands him in trouble. One particular story is written brilliantly though. Within this broad comedy is a tender and jarring depression tale which manages to strike a decent punch. It shows some of the untapped potential that an idea like this one can have and you wonder which other directions a story about female mind-reading could have gone. When the writing can be as good as that, it is a shame that the worse story is the central love-interest. Helen Hunt is a solid female lead here but never really clicks with Gibson. The way he uses his new-found powers to undo her job potential is also kind of slimy and it doesn’t really endear you the way the movie wants it to. They don’t have a believable story and this is where some of the weaker writing and clear “many cooks” script suffers. It also falters at the finishing line. A bizarre ending means that the movie wraps itself up far too easily. It almost runs out of steam and you wonder whether the ideas ran dry just as the finale was beginning to emerge. It also means that the conclusion is too tidy and doesn’t do what has gone before justice. 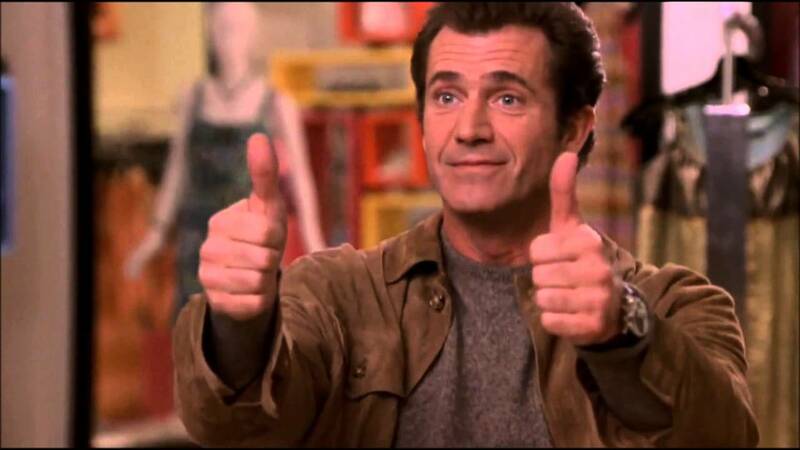 Overall, What Women Want is a great Mel Gibson vehicle which manages to highlight his charming, comedy talents. The idea is also a great one, with some of the potential being demonstrated in key scenes. Unfortunately, the core story-line is weak and the writing never holds-up enough to do the idea justice.